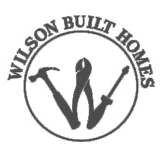 Thank you for visiting the website of Wilson Built Homes, LLC. We're located in Tuscola, TX and serve the surrounding area. We offer home construction services, including interior and exterior remodeling services, new construction and floor plan creation. Call us today at 325-518-3687, or send us a message using the form below. We look forward to taking care of all your home construction and renovation needs.